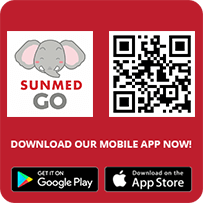 Here at SunMed’s Wellness Centre, teams of Medical Officers and Consultants across various specialities are here to help you manage potential health risks by providing specific screening programmes and personalised consultation. Services include History & Clinical Examinations, Body Mass Index (BMI), Blood Pressure Screening, Thyroid Screening, Full Blood Count and many more, to help you manage symptoms such as ischemic heart disease, hypertension, diabetes mellitus, hypercholesterolemia and other diseases. Please fast for at least 8 – 10 hours prior to the appointment. You may drink plain water only. Postpone taking any routine morning medication (except Hypertension drugs), unless advised by your doctor, until after the blood investigation. Ladies who are going for mammogram are to avoid using deodorant or talcum powder. Ladies going for mammogram are to bring their old films for comparison. Pap Smear should best be done 7 days after the last day of your menstruation. Comfortable clothing and shoes for your Cardiac Stress Test (Treadmill). Previous medical records, if any, especially X-rays, MRI or CT Scan from your last check-up for comparison. Bring your glasses (spectacles) for your vision test. The duration of each health screening package varies. On average, the entire health screening process including medical examination by a doctor will take between 2 – 4 hours depending on the health screening package selected. A complimentary refreshment voucher will be provided for your enjoyment and convenience. In today’s fast-moving times, the hustle and bustle of urban routine can take its toll on our health. As such, it has become more imperative that we pay more attention to our wellbeing as we tackle and juggle the stress of our hectic lifestyle demands. 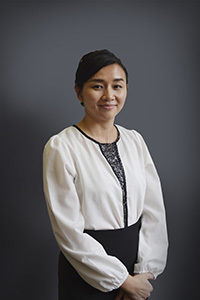 Dr Lim Pek Yean obtained her basic medical degree in 2004 from University Sains Malaysia. She then gained experience treating a wide range of medical diseases in the trauma and emergency department of a busy government hospital. 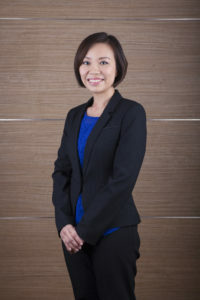 In 2008 Dr Lim joined the private sector to explore her interest in health screening, working for several leading healthcare groups before joining Sunway Medical Centre. She has a natural flair for interacting with patients and speaks fluent English, Bahasa, Mandarin, Hokkien and Cantonese. Dr Lim is trained in using ultrasound for primary health screening. She also holds certificates in various fields such as X ray interpretation, Certificate in Aesthetic Medicine Level 1 (American Academy of Aesthetic Medicine), etc. 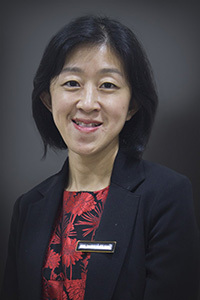 In addition Dr Lim is a certified occupational safety and health doctor (NIOSH) and has helped workers from various industries.With her excellent credentials in wellness screening, Dr Lim has been actively involved in public education regarding the importance of health screening and primary prevention. She has given talks locally and internationally in various languages. 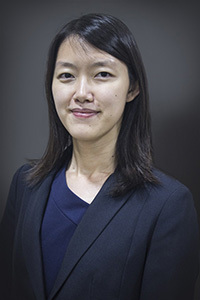 Dr Wee Hui Yin graduated in 2004 from University of Calgary, Canada with a Doctor of Medicine degree. She began her medical career in 2004 at University Malaya Medical Centre, Kuala Lumpur as a house officer. She was then trained under the Department of Anesthesiology and Intensive Care, Selayang Hospital from 2006 till 2010. She was transferred to Department of Anesthesiology and Intensive Care, Kuala Lumpur Hospital from 2010 till 2011. She joined iHEAL Medical Centre as a medical officer in June 2011 till March 2016. She has extensive experience in seeing both patients from local community and overseas, focusing on health screening. Dr Wee speaks fluent English, Bahasa Malaysia, Mandarin, Hokkien and Cantonese. Dr Tan Ling Ling holds a Bachelor of Medicine & Bachelor of Surgery from the International Medical University (IMU). She started her career as a Medical Officer in government hospitals and Klinik Kesihatan for 4 years. She then joined the private sector and has 5 years working experience as a Private General Practitioner. She has broad experience in providing primary healthcare services to patients from all age groups. Prior to joining us, Dr Tan worked as a Locum Medical Officer in Sunway Medical Centre’s Staff Health Clinic. She speaks in Bahasa Malaysia, English, Mandarin, Hokkien and Cantonese. Dr Eng Chee Khoon graduated with Doctor of General Medicine(MD) from Moscow Medical Academy, Russia. She began her medical career in Seberang Jaya Hospital and later on served in government health clinic and general hospital for 6 years in total. 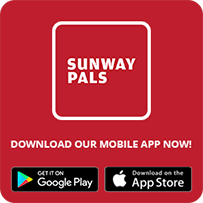 She then joined one of the leading healthcare group for 3 years as healthcare medical officer and general practitioner prior to joining Sunway Medical Centre. Dr Eng speaks in Mandarin, English, Malay and Hokkien. She has broad experience in providing primary care services as well as healthcare services. In her current role, she is responsible for providing SunMed’s standards of clinical excellence and patient-focused care to better serve patients along with the entire team. Dr Eng is currently pursuing occupational safety and health doctor course under NIOSH. Location: 4th Floor, Tower A.